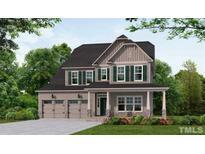 Below you can view all the homes for sale in the South Lakes subdivision located in Fuquay Varina North Carolina. Listings in South Lakes are updated daily from data we receive from the Raleigh multiple listing service. To learn more about any of these homes or to receive custom notifications when a new property is listed for sale in South Lakes, give us a call at 919-213-9465. Conveniently located neighborhood with abundant amenities for all to enjoy. Estimated ready to close August/Sept. MLS#2249509. 929. You must see North Lakes and this beautiful home. MLS#2249003. 1886. Extensive hardwood flooring, 2 piece crown trim on first floor.Huge Master bedroom and luxurious Master bathrm. Abundant amenities to enjoy! MLS#2248715. 929. Hardwood floors, coffered ceilings, upgraded granite, wood steps, rod iron railings... all right around the corner from the community pool and lake. MLS#2242903. 3153. Available lots for additional presale opportunities. MLS#2246045. 929. Home is filled with beautiful upgrades and features such as sunroom and screened back porch, granite counter-tops, and ceramic tiled kitchen backsplash, Stainless Steel kitchen appliances including gas cooktop, soft close drawers 2 x 6 exterior walls, tankless water heater, and much more. MLS#2244572. 1886. NorthLakes offers all the amenities; 2 pools, walking trails, picnic pavilions, docks, fishing piers & tot lot. MLS#2244344. 914. This is a presale listing and used for comp purposes only. MLS#2243651. 914. This is a presale listing to be used for comps only. MLS#2243663. 914. Only floor plan of its kind in neighborhood. Still covered under builder warranties! MLS#2242041. 5122. This home will be filled with beautiful upgrades and features such first floor master bedroom, first floor guest bed with full bath, engineered hardwoods, quartz counter tops, Stainless Steel kitchen appliances including gas range, 2 x 6 exterior walls, trey ceilings, and much more. Come visit!! ! MLS#2241638. 1886. This home will be filled with beautiful upgrades and features such first floor master bedroom, first floor guest bed with full bath, engineered hardwoods, quartz counter tops, Stainless Steel kitchen appliances including gas range, 2 x 6 exterior walls, trey ceilings, and much more. Come visit!! ! MLS#2241598. 1886. NorthLakes offers all the amenities; 2 pools, extensive walking trails, picnic pavilion, dock for kayaks and canoes, fishing piers & tot lot. MLS#2239025. 914. NorthLakes offers all the amenities; 2 pools, walking trails, picnic pavilions, docks, fishing piers & tot lot. MLS#2239041. 914. This is a presale listing and to be used for comps only. MLS#2238526. 914. This is a presale listing and to be used for comps only. MLS#2238532. 914. Home is filled with beautiful upgrades and features such as a screened back porch, sun room, engineered hardwoods, quartz counter-tops, ceramic tiled baths and ceramic tiled kitchen backsplash, Stainless Steel kitchen appliances including gas range, 2 x 6 exterior walls, second floor bonus room with full bath, and much more. MLS#2237448. 1886. Enjoy your morning cup of coffee on the screened in porch! MLS#2237362. 1886. Home will be filled with beautiful upgrades and features such as a screened back porch, sun room with double sided fireplace, engineered hardwoods, quartz counter-tops, ceramic tiled baths and ceramic tiled kitchen back-splash, Stainless Steel kitchen appliances including gas range, 2 x 6 exterior walls, second floor bonus room with full bath, and much more. MLS#2237349. 1886. New Roof and gutters and new carpet on stairs, loft and 2 front bedrooms. MLS#2237060. 1710. NorthLakes is one of Fuquay's most desirable communities with 2 pools, cabana, playground, extensive walking trails and lake access for canoeing/kayaking and fishing. MLS#2235491. 914. NorthLakes offers all the amenities; pools, walking trails, picnic pavilions, docks, fishing piers & tot lot. MLS#2235340. 914. Upstairs boasts a more than ample master ensuite w/soaking tub, roomy secondary bedrooms & spacious bonus room. Community pool & awesome location! MLS#2235408. 1197. This is a pre-sale listing and used for comps only. MLS#2235254. 914. This is a presale listing and to be used for comps. MLS#2234154. 914.